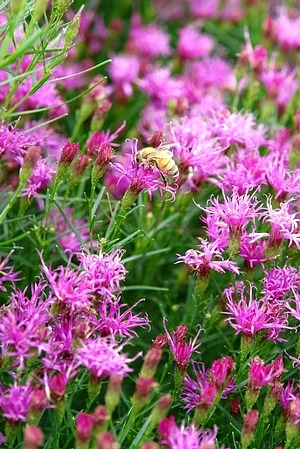 The Vernonia Lettermannii is an ironweed plant native to Arkansas and Oklahoma. In late spring, its foliage looks like a large glossy-green round ball of tiny sheared leaves. It grows to 2-3 feet tall with an equal spread. The letternannii plant is much shorter than other veronica plants. It however gives a much more pleasant and more intense color display at full bloom than any of its taller relatives. Additionally, unlike the flowers of its cousins that fade and shrink away as they age, the tiny flowers of this narrowleaf ironweed retain their form and color long after the plant becomes dormant. It blooms in the months of August and September in a bright and pleasant purple. By October, most flower heads have expired, but the rich color or the letternannii remains for another few weeks, albeit on dry, crunchy petals. It is also a hummingbird and butterfly magnet. Taking care of the threadleaf ironweed should be pretty easy. It does not require any pruning and is a heat and drought tolerant plant that does very well in full sun. This means that it will survive even if you forget to water it for a few days. It does well in any soil and will grow even in poor rocky soil in average to dry conditions. It requires well-drained soils to grow well but can survive short periods of flooding. 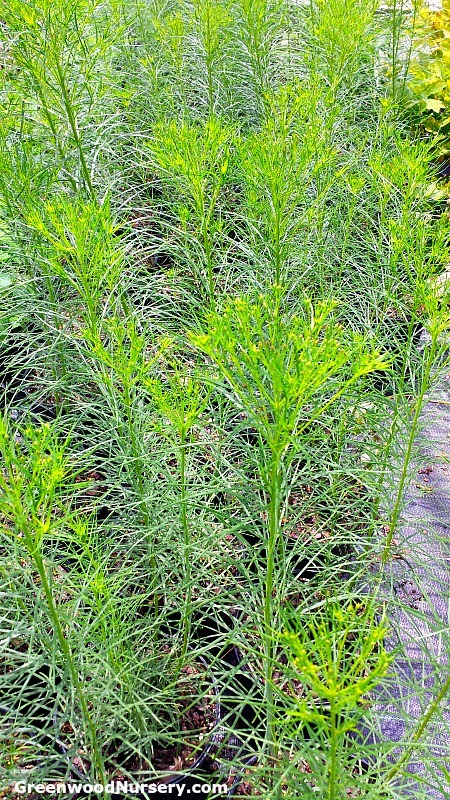 Vernonia lettermannii is grown in a one gallon pot. Orders shipping to CA or AZ may be bare rooted before being prepped for shipping.